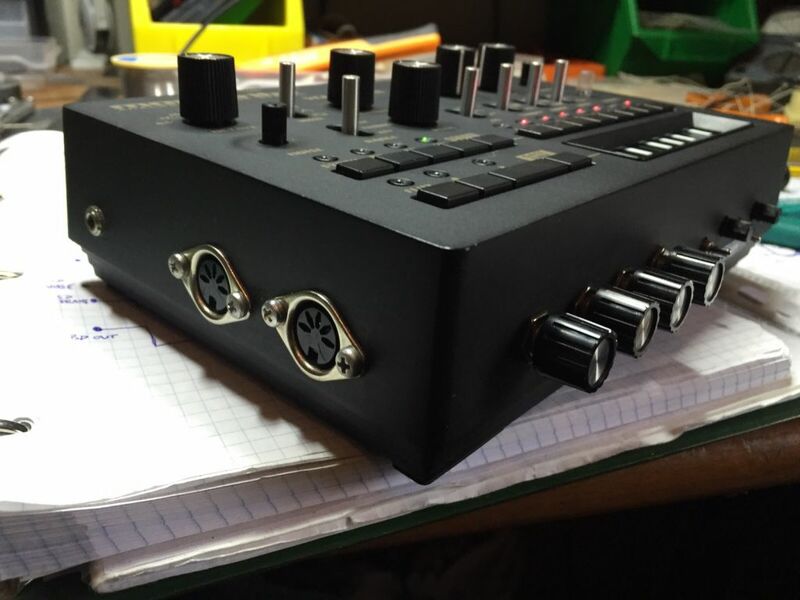 Now this little groovebox rocks more than ever! Very neat job. Need to finish my mods, but been a bit distracted unfortunately. Any idea what drum-out schema was used? And how are you liking the PWM? Sorry but I really don't know which schema it's been used. The PWM it's a very nice addition but I suggest you to do it if you've got more than one unit (I've got 2 atm), 'cause it's not switchable and it change permanently the synth's sound when the LFO's target are VCO or VCO+VCF. Well, that's not entirely true. It only has an effect when the pulse wave is selected. Triangle and sawtooth are not altered (at least in the mod described earlier in this thread). Changing subject to the Volca Bass slightly - I guess the sync in and out are just standard mono jacks? Think I may relocate one and use the hole for my FM mod pot, to save drilling the faceplate. I may even be able to mount it on the PCB. Had a look at darenager's distortion mod - its simple and my eyesight is decent, but the fact that I can barely see the resistor makes me worry that it will be tricky to remove and solder the wires in its place. Slightly off topic.. does anyone know where to buy Monotribe nowadays? can't even find it on eBay! The monotribe it's been discontinued, you have to look for a second hand unit. OMG! why??? It's such an amazing piece. Hope they introduce another version or something similar soon. I sold mine a while ago because I was being a stupid retard. Oh how I regret it now.. But every time I pull it out to sell, I spend some time with it and come up with something interesting and have fun doing so. I have considered modding it but I am sure at this point I would muck it up. I always think about a 10 year anniversary model that has MIDI & CV/gate as standard and no clicking, but otherwise I wouldn't change anything. hi daren - would there be a discount for both monotribe mods?? 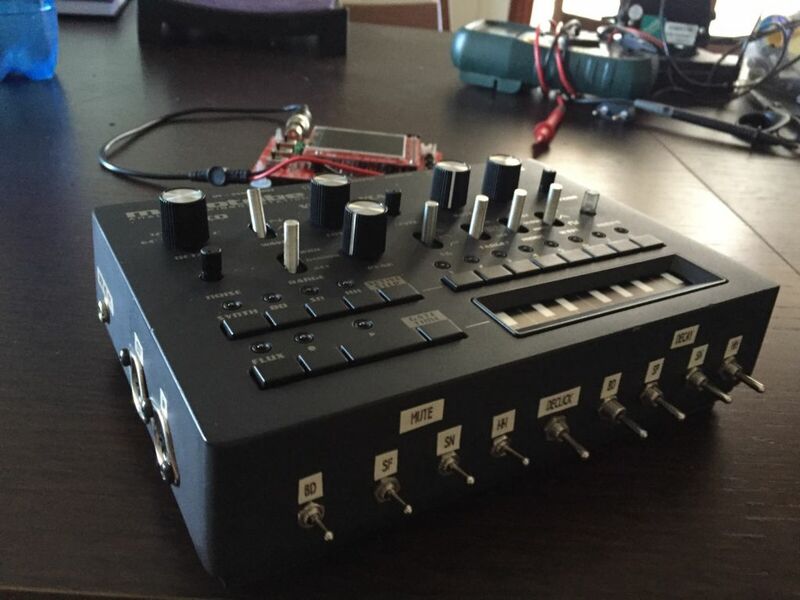 and off topic, but did you need some form of magnification to do the volca bass distortion mod? 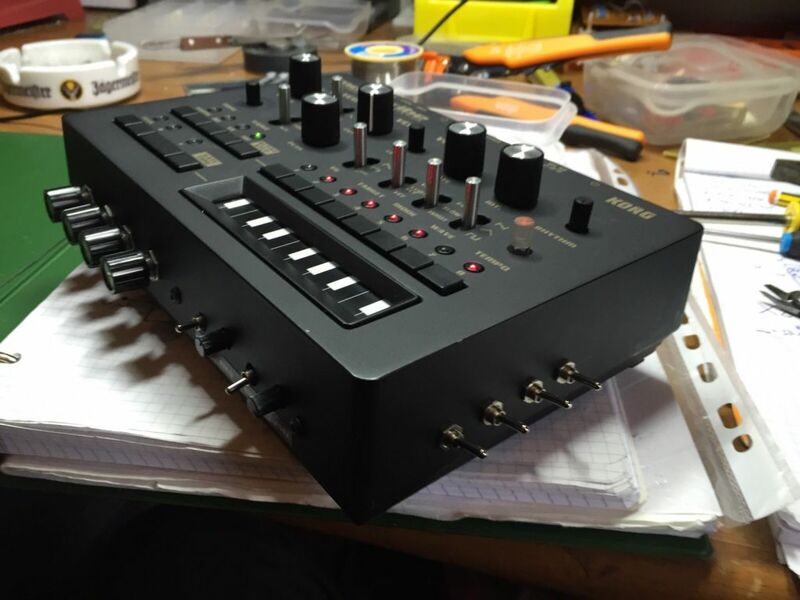 The Volca mods are by Darren Glenn in Australia not me, but yes magnification would be recommended to work on the smt parts. Slightly off-topic: Does anybody knows if it's possible to swing the monotribe with a Future Retro Swynx? The Swynx has an analogue clock output so it should work with the sync in of the korg. I ask to J. from Future Retro and he said that he didn't have a korg to try it but it should work. P.s.- via midi my 'tribe receive swing only for the synth part, not the drums. It's supposed to work this way? Does anyone know of anyone who will install a Midi mod and click reduce into my 'tribe? This would be in the UK and payment, obviously, with it. I would prefer it installed into the case, but I am open to suggestions. erm - sorry - had no idea he'd actually posted two above you ! Much inspired by this thread!! Thanks! I look forward to hearing how you added the LFOs. Have you managed to fit it all back into the case? monotribe n.2, this time with MIDI I/O, darenager's VCO mod kit, VCO de-click,drum decay/frames (with knobs instead of switches), drum mute switches, and drum mix out. This seems cool, but what I think would be even better is to be able to control aspects of the synth parts (LFO and VCF, among other things) on the Monotribe with external CV. Has anyone found the schematics for the synth section? I've only been able to locate the schematics for the rhythm section. Quick question for anyone who has done the de-click mod. Have you noticed an intermittent glitchy sound when the gate is opening and closing a lot/quickly?